Victoria Redel has been awarded a 2014 Guggenheim Fellowship for Fiction and the 2014 Devil’s Kitchen Reading Award in Prose for her collection of stories Make Me Do Things. Victoria Redel is the author of Make Me Do Things (2013, Four Way Books), as well as three previous books of fiction, including the novel The Border of Truth (a 2007 Barnes and Noble Discovery Book). Her novel Loverboy (2001, Graywolf/2002, Harcourt), was awarded the 2001 S. Mariella Gable Novel Award and the 2002 Forward Silver Literary Fiction Prize, chosen in 2001 as a Los Angeles Times Best Book, and adapted for a feature film directed by Kevin Bacon. She has also written three books of poetry, most recently Woman Without Umbrella (2012, Four Way Books). Redel’s fiction and poetry have been widely anthologized and her work has been translated into five languages. Her second collection of poems, Swoon (2003, University of Chicago Press), was a finalist for the James Laughlin Award, and her first collection, Already the World, won the Tom and Stan Wick Award. Redel is a professor at Sarah Lawrence College. 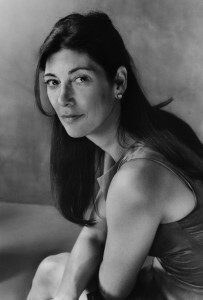 She has received fellowships from the National Endowment for The Arts and the Fine Arts Work Center. For more information, visit VictoriaRedel.com.